LONDON—Missing out on a life of deep commitment from the only person who truly understands his heart, Prince Harry revealed Monday his engagement to a woman who will never love him the way 29-year-old Idaho resident and graphic designer Jennie Hoffman does. “We are delighted to announce the engagement and upcoming wedding of Prince Harry to Ms. Meghan Markle,” said royal spokesperson Claire Hutton, of the American actress whose affection for the Prince is reportedly but a dim shadow of the passion and desire burning inside the Idaho State graduate and freelance artist behind the Boise Pizza House logo. “They are such a happy and loving couple [even though Meghan will never be as devoted or caring as Jennie, nor look into Harry’s eyes and gaze into his soul] and we know their future is bright. 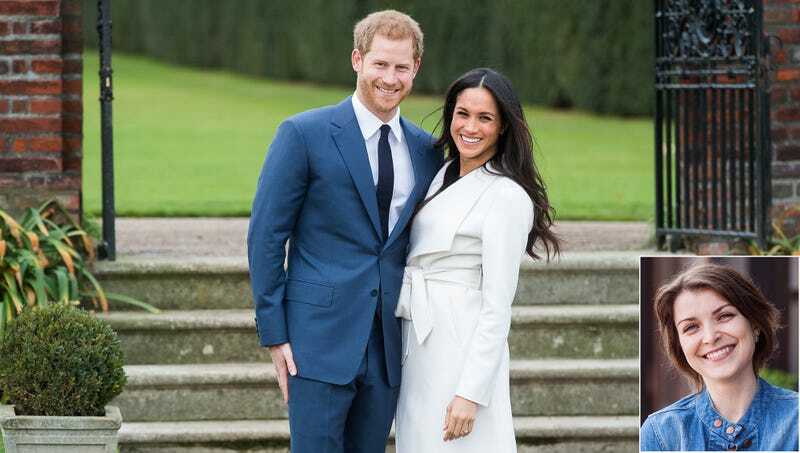 We give them our blessing.” The royal family also announced that the wedding date would be near the birth of what should have been the third child between Prince William and 37-year-old Rochester, NY woman Wendy Richmond.